Cummins Southern Africa is pleased to announce a positive outlook for 2018 in the Southern African region. Indicators are consolidating for the company’s key markets where an increase in mining activity, equipment rebuilds, the appreciation of the oil price and the progress of major infrastructure and power projects bear testament to a favourable business environment. 2018 we will more aggressively drive our transformation agenda in South Africa with some key milestones set for completion by the end of Q2,” Pimi added. Corporate Responsibility rates highly on the Cummins agenda, and the company has launched many socially responsible programs that benefit local communities in which they operate. The company’s 1st TEC Program (Technical Education for Communities), in partnership with Komatsu SA, will be launched in April 2018 at the Sedibeng Technical Vocational Education and Training College. The regional channel strategy execution will continue into 2018 and with the recent integration of the Angolan operations, Cummins Southern Africa will now cover the entire Southern African Development Community (SADC). Plans are also in place to boost the company’s presence in Zimbabwe, Madagascar and Mauritius with increased human capital, improved capability and the availability of parts and whole goods on the ground to more effectively support customers. With a strong brand built up over almost a decade, Cummins Southern Africa has a powerful presence in the region in the areas of power generation, mining, automotive, marine and aftermarket support. The company announced new high tech innovative solutions from various divisions within Cummins Southern Africa, ensuring the highest levels of service are delivered to its customers. The Director of Operations for Cummins Southern Africa, Ms Racheal Njoroge, announced the revived push for growth and diversification in four key markets in 2018 - Oil & Gas, Marine, Mining and Automotive. Furthermore, she disclosed a positive business climate in Zimbabwe with the anticipated acceleration of business in Filtration, Power Generation and Parts & Service. She also communicated the company’s intent to stimulate and increase business in Madagascar and Mauritius through current and new partner engagements. The General Manager for Cummins Southern Africa, Mr Orlando Ferrao, announced aggressive plans in place to form cohesive partnerships with customers to ensure the best experience possible. As part of this rollout, the company will be increasing the availability of over-the-counter parts to improve aftermarket support of our products. The CSARO Mining activity, led by Mr Andre Kuhn, announced the development and rollout of an advanced fault finding electronic support tool which identifies the origin of technical glitches and the parts required to repair it. The IPad device reduces downtime, improves efficiency and provides cost savings for the customer. Furthermore, he announced the introduction of telematics, or DEMS (Data Enabled Mining Solutions), which monitors the vital statistics and performance of an engine remotely, thereby presenting early warnings of potential engine downtime. The customer is then able to optimise engine availability and component life while minimising engine downtime. The Cummins Power Generation activity in Southern Africa, led by Mr Robin Kuriakose, announced the largest single unit genset, the C3750 powered by a 95 liter engine, would be installed and commissioned by mid-2018. This is a first for Southern Africa. 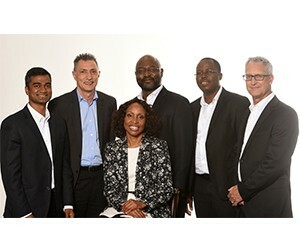 Commenting at the announcements, Managing Director Cummins Southern Africa, Mr Thierry Pimi said: “We will continue to drive a culture of excellence in our business performance, while working as a cohesive team and living our core value of Diversity and Inclusion. It is our vision for Southern Africa to continually exceed our client expectations through world class professionalism from a diverse and highly motivated team. We continue to develop and engineer new solutions in support of our clients’ wide range of needs. We are enthusiastic and optimistic about this year as we see a positive business environment which has assured customers, improved investor confidence and accelerated business growth in Southern Africa. I am confident that 2018 will be another great year and that we will continue to innovate to power our customers’ success,” Pimi enthused.